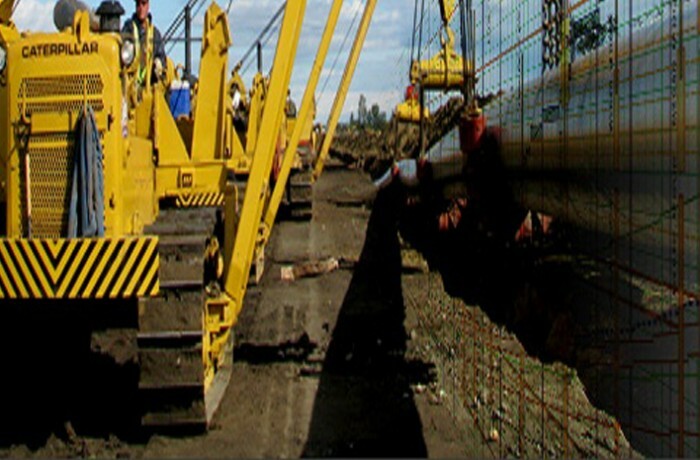 Pipeline construction, as with other linear projects, presents construction challenges such as maintaining crew separation, equipment move-arounds, permitting, land acquisition and crossings. Ideally, you want to resolve any land and permitting issues before construction begins and then sequentially start your crews using different lags to reduce the total time in construction while preventing one crew catching up to another. Traditional scheduling tools such as Microsoft Project or Primavera do very little for planning and executing pipeline construction if you want to consider these construction issues. These tools, in particular, do not show which part of the project has been completed, where the crews are in relation to each other and what other factors are important to the successful completion of the project. For each task, the start and end date and the physical percent complete are readily displayed using these tools. We can see that grading is about 18% complete, welding about 13% complete etc. No further information where work was done is added. In the example below, during execution of the project there was no access to land in section 10 000 to 12000 and the crews had to move to station point 15 000. Although there was no delay of finishing the project, the execution was quite different than planned. The baseline is shown as brightly coloured lines. 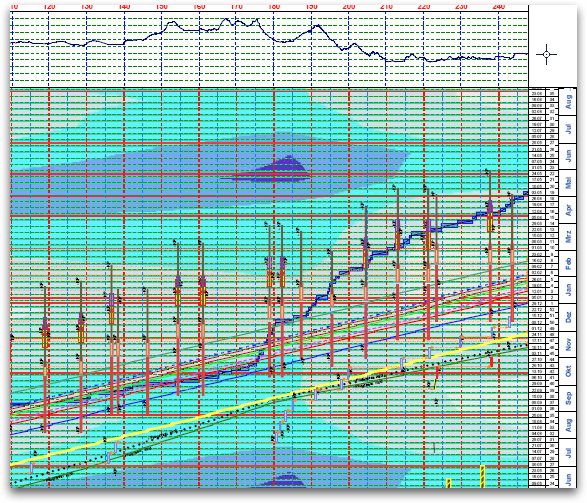 In the TILOS distance Gantt chart, the executed sectors and the progress situation can be easily be monitored. Earned value calculations, such as the schedule performance index (SPI) show a comparison of planned durations against actual ones. Grading has more progress than planned for the report date, but due to earlier start the schedule index is smaller than 1. Using traditional planning systems, this work could only be done by splitting tasks into sections (e.g. of 1 km) and then reporting progress on these sections. This makes the creation and linking of tasks more complex so that, for example, in a 100 km long pipeline project, 800 tasks need to be created. The reporting needs to be done specifically to the planned task using its ID. If a crew reports progress from 1800 to 3200 then this needs to be converted into 3 tasks. Varying for weather or soil types. TILOS can vary planned or actual tasks dynamically to account to varying weather or soil types. As a consequence of weather analysis, the project was broken into 2 spreads. First the section between KP 80 and KP 260 were done in order to work in that area during the dry season. All crews and equipment were moved to KP 0 to complete the remaining 80 km. The extra mobilization costs were compensated by the higher performance of the crews in the dry season within the mountain area. This plan was created in TILOS and shows a 280 km section of this project. Further information regarding this project can be found in http://en.wikipedia.org/wiki/Baku-Tbilisi-Ceyhan pipeline. In this example, the distance axis is vertical and the time axis is horizontal like a Gantt chart. The distance axis description shows in each section the link to the relevant drawings, the KP, the elevation and also a description for each important KP. The project had to be planned around certain time-location constraints. This was to avoid the nesting areas of migratory birds. Enbridge Pipelines Inc. operates, in Canada and the U.S., the world’s longest crude oil and liquids pipeline system. These pipeline systems have operated for over 55 years and now comprise approximately 13,500 kilometres (8,500 miles) of pipeline, delivering more than 2 million barrels per day of crude oil and liquids. Alberta Clipper is a crude oil pipeline that will provide service between Hardisty, Alberta, and Superior, Wis. This 1,000-mile / 1,607-km pipeline will have an initial capacity of 450,000 barrels per day (bpd), with ultimate capacity of up to 800,000 bpd available. Enbridge Pipelines Inc. used TILOS as their best in class linear scheduling tool for managing the Alberta Clipper Mainline Construction for this immense project in Canada. The software was used in the field, and in the main offices to bring together stakeholders to greatly enhance planning, and reporting making the project a huge success.